Superare's first year at 7306 Melrose Ave in Los Angeles CA has been a huge success! 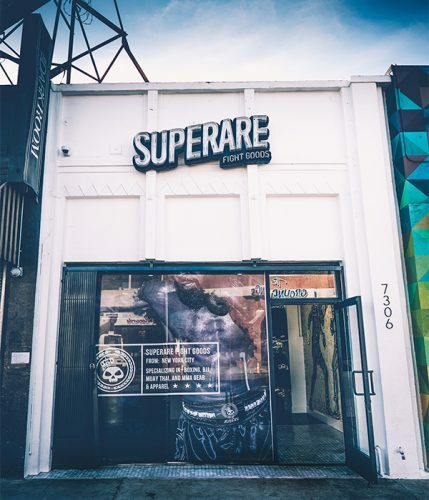 Los Angeles, USA - March 22, 2019 /MarketersMedia/ — For several years, Superare worked towards their goal of opening a store in Los Angeles. It was an up and down journey filled with blood sweat and tears. After missing out on other locations, and rebranding the name, what seemed impossible finally became a reality. Superare opened its doors in Los Angeles just over a year ago. Superare is pleased to announce that their first year at their new L.A. location has been a huge success! Owner Zach Lipari commented, "This past year has been a year full of making new friends, enjoying nice weather, and getting to know a whole new city and it has been amazing! The LA shop was a big undertaking for us. Opening a store across the country for the first time was definitely nerve-racking and I can confidently say that this one year anniversary is way less stressful than the opening weekend as you guys have made us feel right at home the whole time! - Here's to a bunch more years in the City of Angels!" The LA store is located at 7306 Melrose Ave L.A, CA 90046. "Being located right on Melrose Ave has been fun. Anyone who knows there area, knows that it certainly has a lot of character and a pulse that is hard to find elsewhere" says Lipari. The new location has allowed Superare to offer more products in their own Superare Brand, which includes boxing gloves, jiu-jitsu gi's, muay thai gear, and much more.